Bistro Baron, Plaza Indonesia, Thamrin, Jakarta, Indonesia - my name is Food. Bistro Baron in Plaza Indonesia has been serving up classic French bistro dishes in a casual yet cosy setting. With the always so bustling and busy PI Mall, it never cease to amaze me how many of the restaurants gets filled so easily and yet even if you book in advance, you don't know if you may or may not be able to get a seat especially during peak hours or Friday nights and weekends. 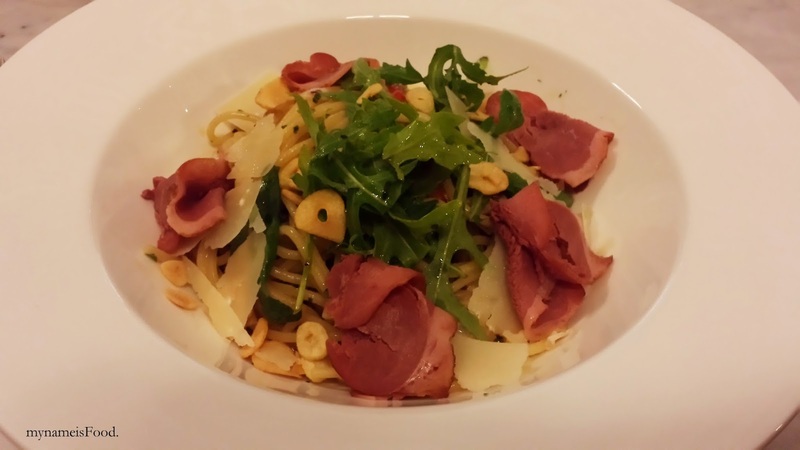 However, if you do feel like eating homestyle and bistro French dishes, do give here a try. 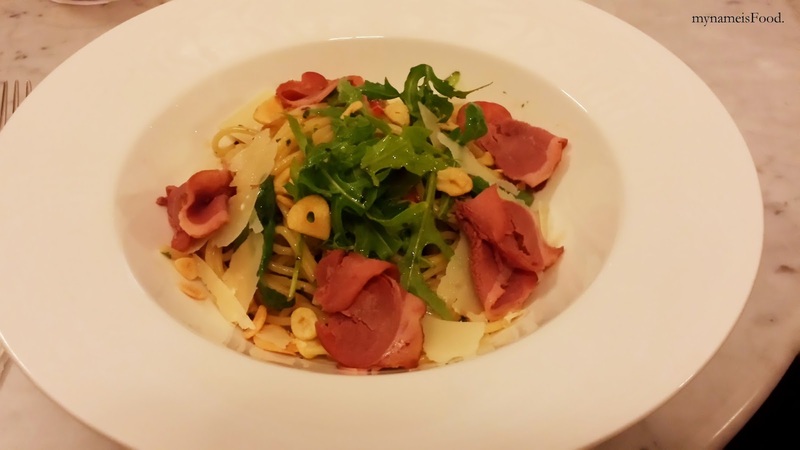 They have a wide variety of dishes on offer on their menu though not too extensive until it will take you a long time to figure out what you would like. Serving from Breakfast to Dinner, they also offer High Tea for those wanting to have a nice afternoon tea. 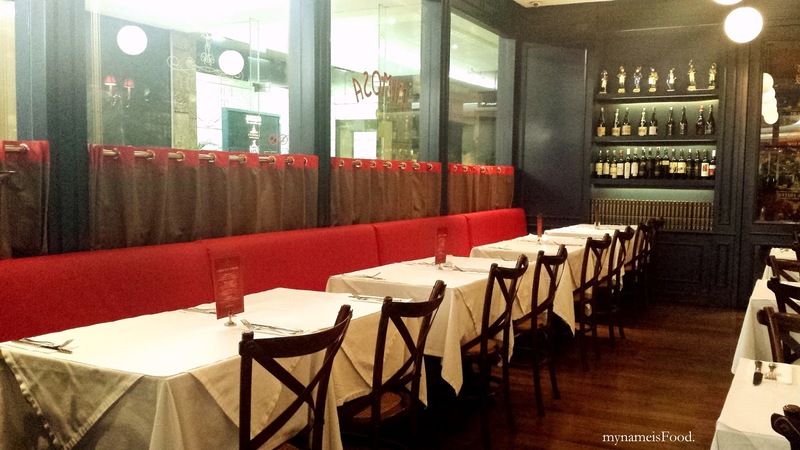 Having seatings both indoor and outdoor allows diners to choose which area of the restaurant would suit them. We opt for outdoor seating as the weather wasn't too humid nor too hot. The only problem that I would have to point out here in this restaurant is that the lack of waiter's attentiveness to diners as it takes a while to try and get the waiters' attention as well as trying to call a waiter to your table. Some shouting or having to find a waiter yourself may be needed which is dissapointing and plus, it was a quiet evening when we wer there so it should've been easier but instead, it wasn't. 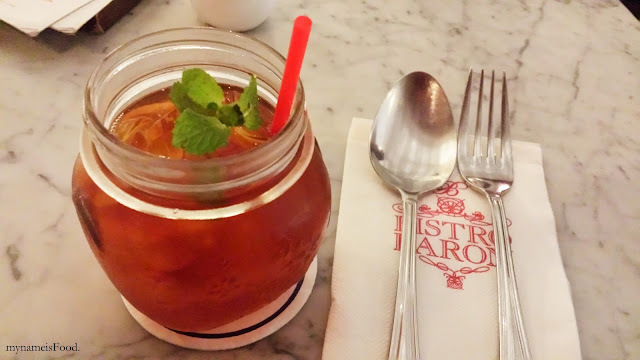 I started with 'Lychee Ice Tea' (IDR38k = ~AUD$3.8) which was not too bad though it was a tad too sweet for me however after asking for a few lemon wedges on the side, squeezing them into the drink did make the lychee ice tea much better. 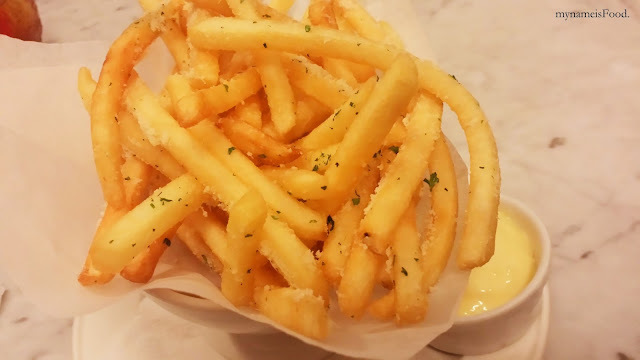 'Pommes Frites Truffee' (IDR75k = ~AUD$7.5) is a side where everyone can simply enjoy. 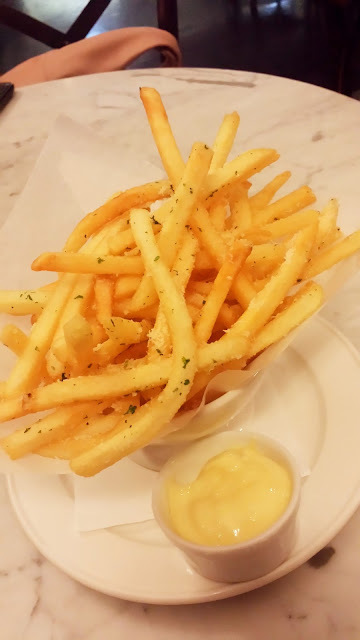 Truffle oil scented french fries with grated parmesan served with a side of aioli sauce. To be honest, I did not really get much of the truffle oil scent and I felt that they were quite stingy with the grated parmesan as usually, there would be more. Crispy fries, yes but overall, it was just okay. 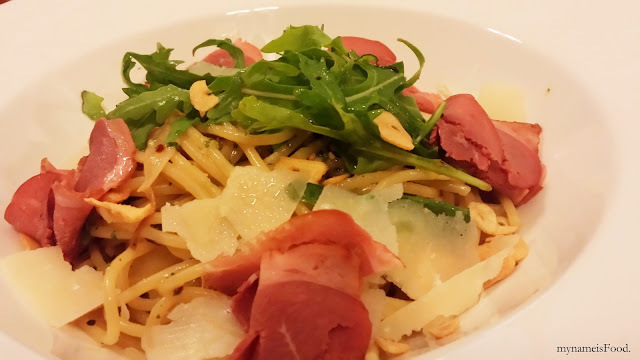 'Aglio Olio' (IDR115k = ~AUD$11.5) is a classic pasta dish where you can get in most Italian restaurants though the main differences would be how they present it, what its ingredients and condiments is included and the combination of each of the elements. In Bistro Baron, they serve their Aglio Olio with a choice of Smoked Duck or Chicken or Tuna in which we chose their Classic, which was the Smoked Duck. Spaghetti with olive oil, garlic, fresh chilli, rocket leaves and shaved parmesan is simple but already, it actually packs many flavours in just one simple dish. Aglio Olio is always a nice simple pasta dish to have when you're not wanting that heavy creamy flavour nor the strong tomato sauce. What I quite liked about this was that although only olive oil, chilli and garlic was the base of the dish, it had flavour and strength which should not be overpowered in which it wasn't. The rocket leaves and grated parmesan added the crunch and the smoked duck, although it was only four thin slices (which they could've added a bit more to be honest), overall it was a pleasant and fresh dish to have. 'Bistro Baron Burger' (IDR105k = ~AUD$10.5) is Bistro Baron's signature burger in which you realise after reading its name. Usually signature dishes tend to either go two ways, one, it may be considered one of the best dishes from the menu or if it is just meh, meaning it's just a fluke or rather. 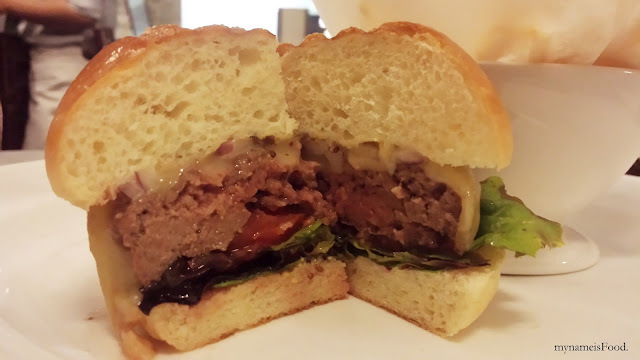 Bistro Baron's Burger consisted of a homemade Angus beef patty, mesclun, tomato, onion with a seeded mustard sauce and Gratinated Raclette Cheese. 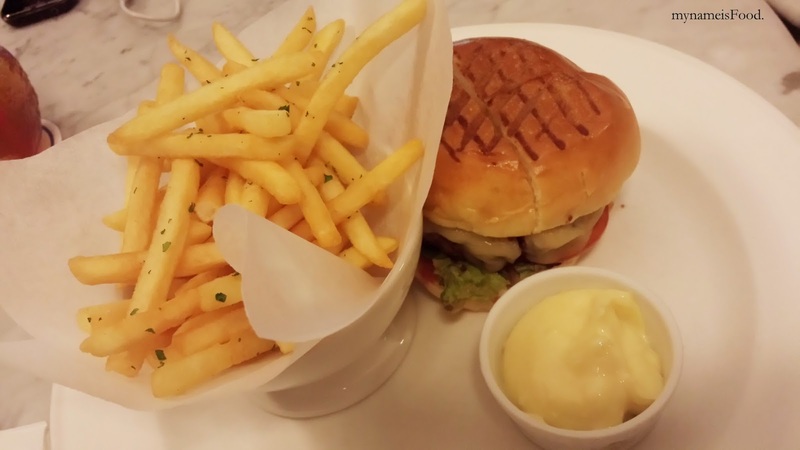 The burger also came with a side of french fries though not topped with truffle oil scent or grated parmesan, only a sprinkle of parsley leaves. What I have to compliment would be the presentation of the neat Bistro Baron burger as well as the grill marks on top of the soft brioche buns. I personally love slightly grilled soft brioche buns for burgers as I am not a big fan of those hard and dry burger buns where it just makes you enjoy only the filling but not the outer side as well. The brioche buns weren't too big nor too small, the grill marks made the brioche buns have that slightly toasted texture as well as crunch. When you slice it in half, you are able to see the burger's inside being carefully stacked which we as eaters can appreciate although in the end, whilst eating it, it may be messy in the end anyway. 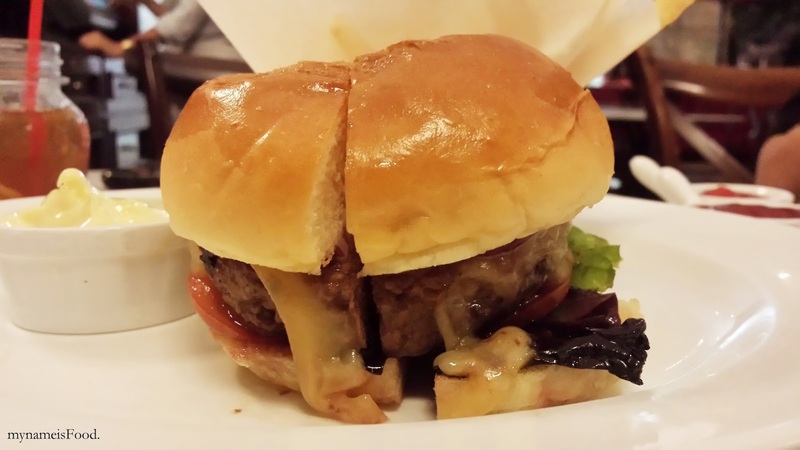 The Angus beef patty was made well, full of flavour and juicy. It is hard sometimes finding a nice homemade beef patty which can be juicy and not dry as most homemade patties can easily be. Although a very simple burger as you may just call it a cheeseburger as it didn't have more twitches here and there and any add-ons but just simple. The crispy mesclun and the freshly sliced tomato created your healthy and crispy texture for the burger. The seeded mustard sauce was very light but gave the burger that hint of tangyness as well as creamy taste. Overall, a wonderful yet very simplistic burger well thought out and presented. This place was very comfortable. Restrooms were decent. Coming to LA event venues with my friends was an amazing experience. This is my favorite place now, because of its excellent food, perfect lighting, vibrant atmosphere and great ventilation.